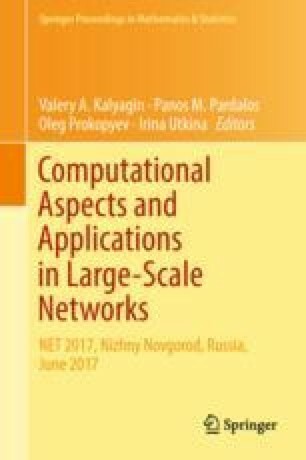 In this paper, we develop new methods of local and global search for finding optimistic solutions to the hierarchical problem of optimal pricing in telecommunication networks. These methods are based on the fact that a bilevel optimization problem can be equivalently represented as a nonconvex optimization problem (with the help of the Karush–Kuhn–Tucker conditions and the penalty approach). To solve the resulting nonconvex problem, we apply the Global Search Theory (GST). Computational testing of the developed methods on a test problem demonstrated workability and efficiency of the approach proposed. This work has been supported by the Russian Science Foundation (Project no. 15-11-20015).